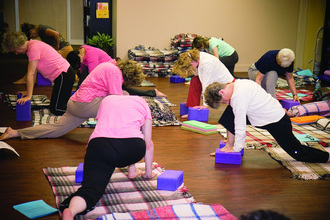 Classes held at Body Love Wellness Center, 484 Bedford St., East Bridgewater, MA. Contact Janice to reserve your blankets. Contact Janice about class times and availability. Classes held at TIme for You Yoga, 2155 Diamond Hill Rd., Cumberland, RI. Please visit Time for You Yoga's website for up-to-date pricing.